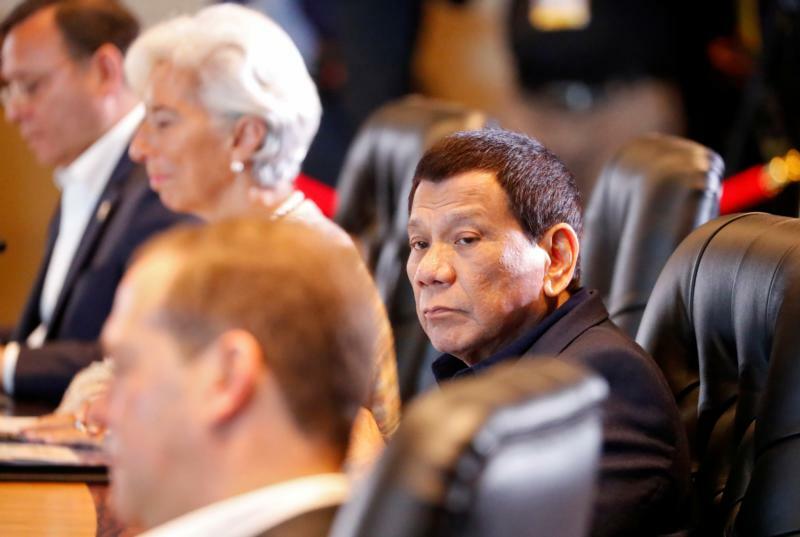 MANILA, Philippines (CNS) — Philippine President Rodrigo Duterte is open to talking with church leaders, his spokesman said after the president called on people to kill and rob bishops. “There are attacks and counterattacks, (both) by the palace and the members of the Catholic Church,” said the legislator. Bishop Bastes called the president’s public statements alarming and condemnable. “There should be a mass movement among decent Filipinos to make him desist from speaking like a devil,” said the prelate. “If he does this with bishops, how much more to ordinary citizens? What kind of head of state (is he) who encourages killing?” the prelate said. Panelo said the president was saddened by the bishop’s remarks. “Like the bishop, the president is imperfect, but … (Duterte) looks at the innate goodness of man,” said Panelo. “What is a disgrace is when a member of the clergy uses unsavory language against (Duterte), who only fulfills and complies with his constitutional mandate to lead the government,” he added.